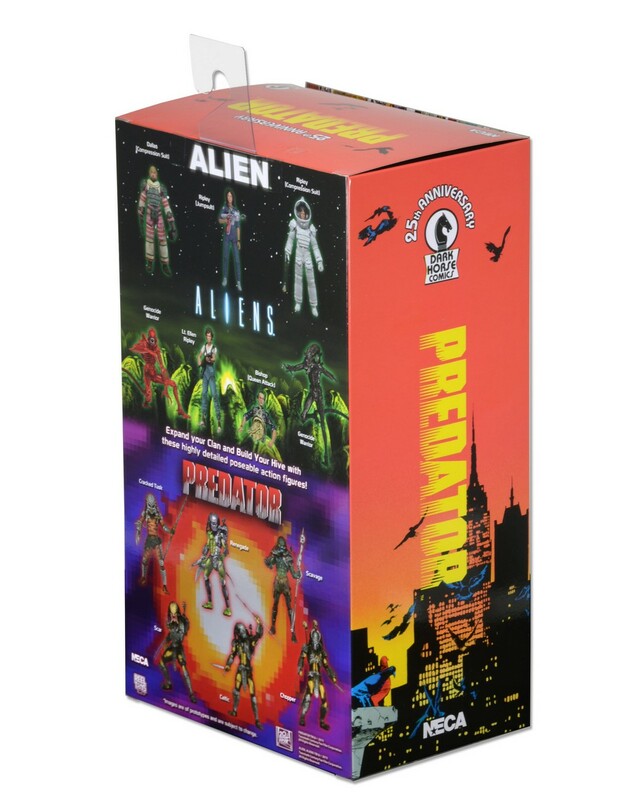 This week, while San Diego Comic Con is gearing up, our warehouse is in overtime, getting ready to send retailers their shipments of three awesome action figures! 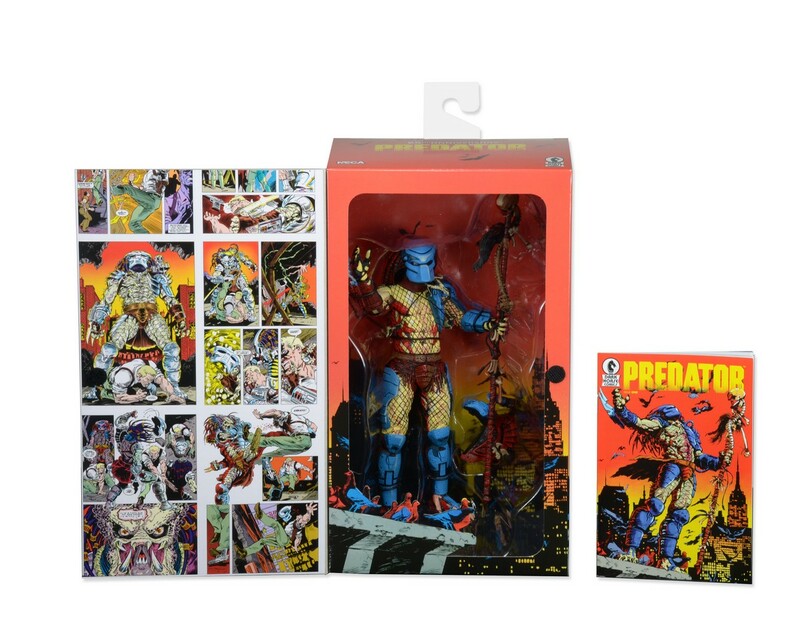 Make room on your tiny bookshelf for the replica mini-comic that comes with the 25th Anniversary Dark Horse Comic Book Predator. 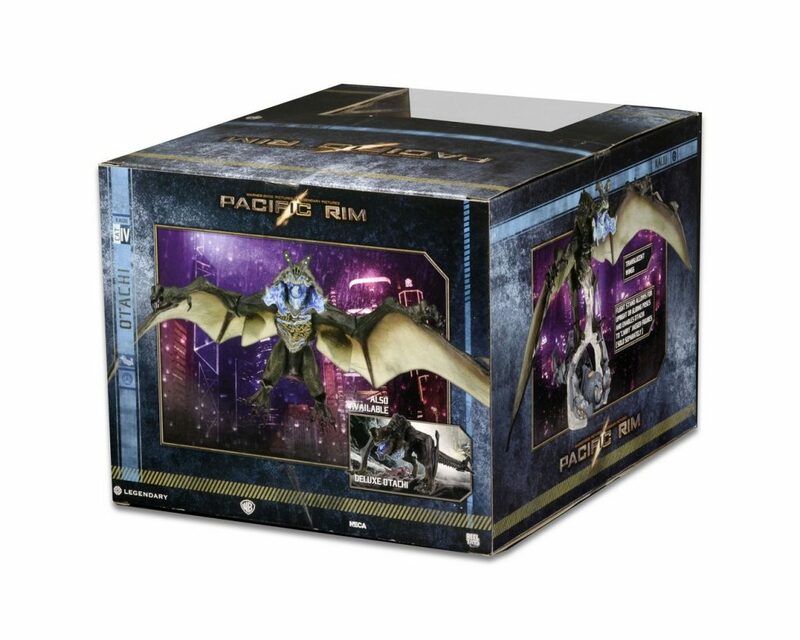 You’ll also need space on a much larger shelf for the deluxe Winged Otachi. 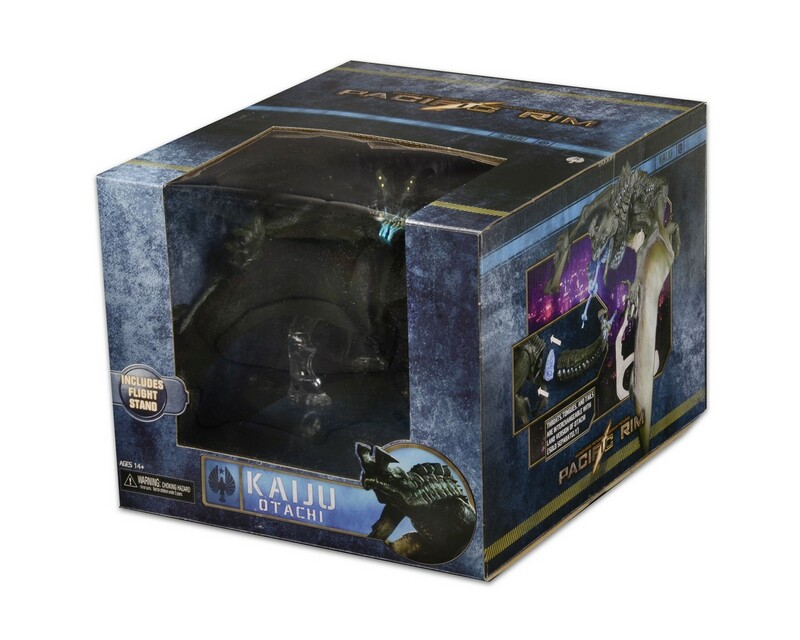 But wait, didn’t we say three action figures? 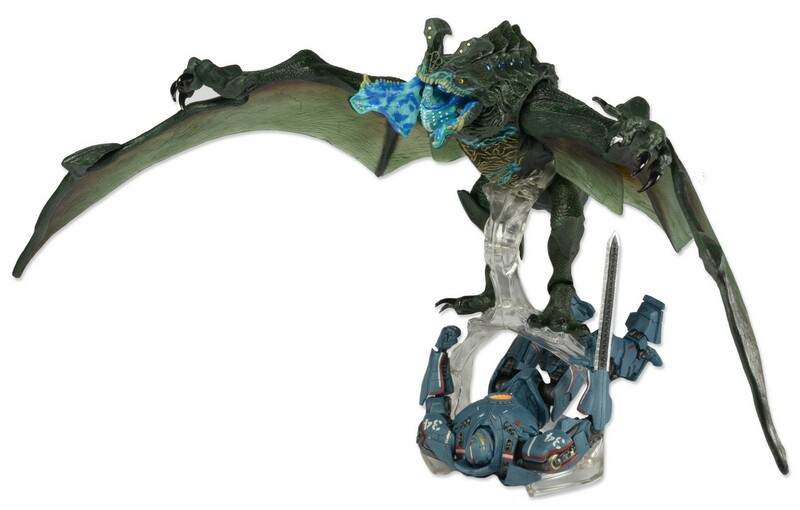 Yep – head over to your local Toys R Us store later this week to pick up Anteverse Gipsy Danger, the first of several Toys R Us exclusives for 2015. 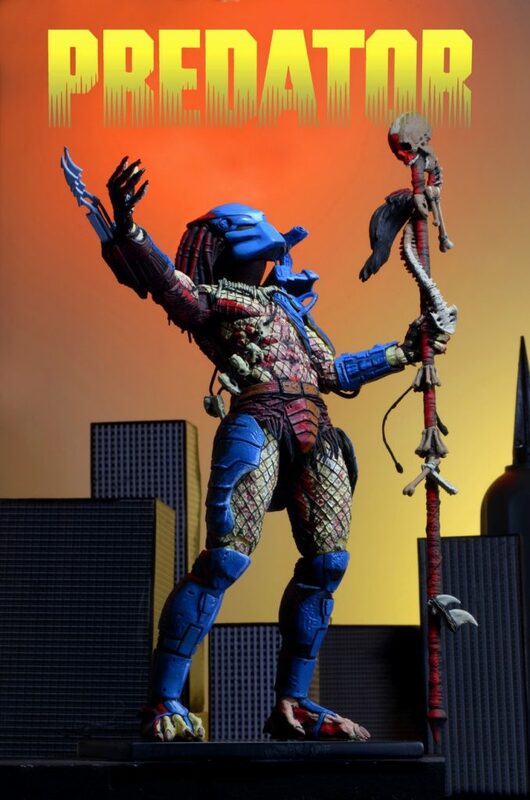 Celebrate the 25th anniversary of the first Predator comic book! The Dark Horse mini-series followed NYPD Detective Schaefer (Dutch’s brother), whose investigation of a string of brutal murders leads him to an army of Predators ready to converge on the city. 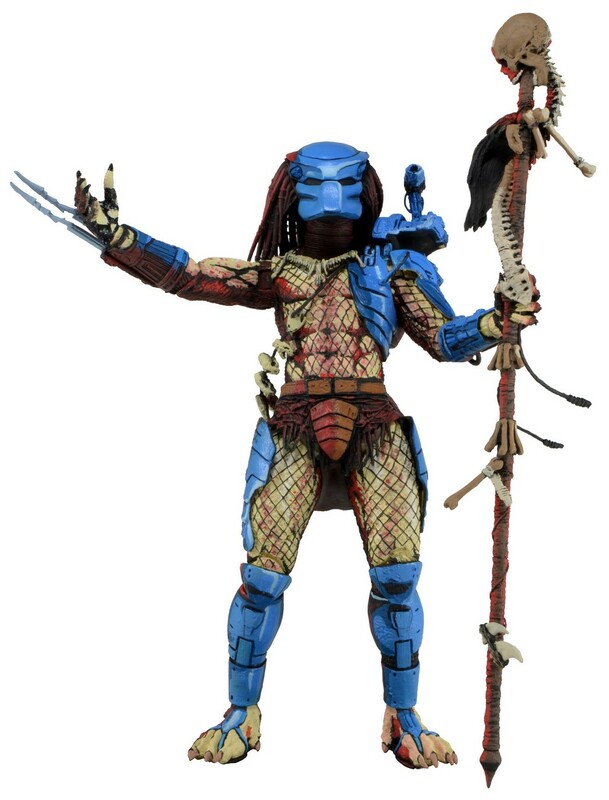 This 8” tall figure recreates the Predator’s appearance on the cover of issue #1, and has all-new deco in comic book colors and shading. 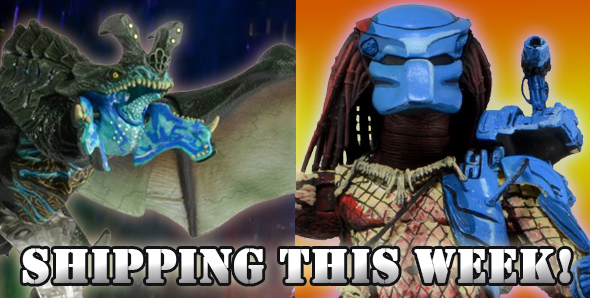 Featuring plenty of articulation and a new ceremonial staff accessory. 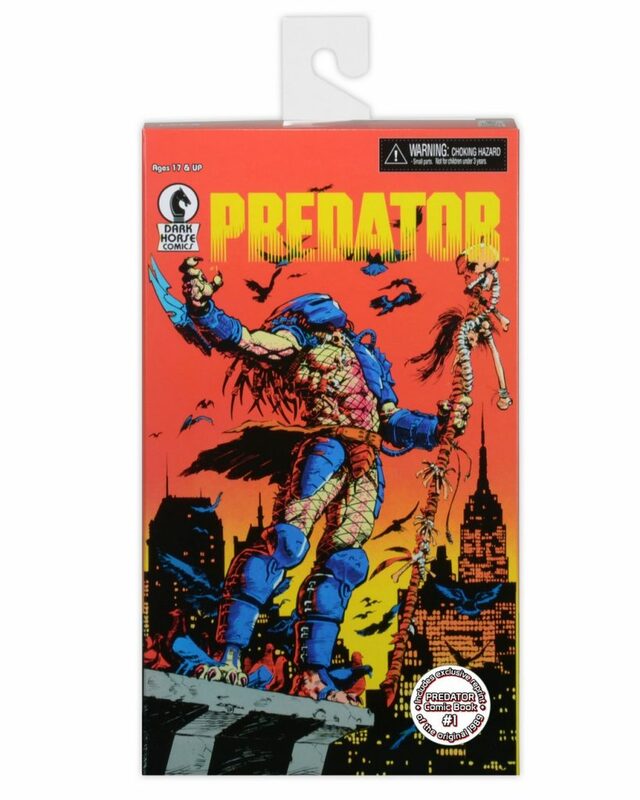 The deluxe window box packaging uses original comic book art and comes with a special bonus: a commemorative mini-comic reprint of Predator #1! 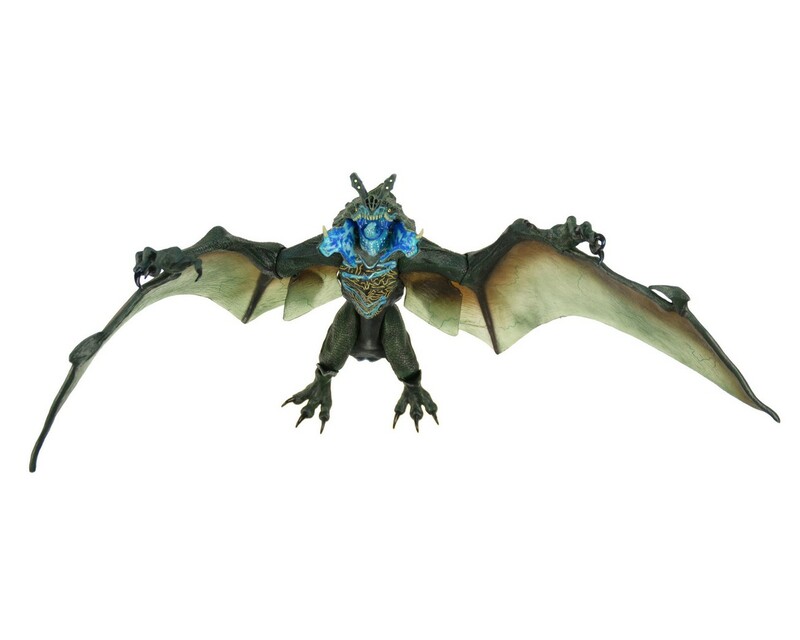 The deadly Otachi takes flight! 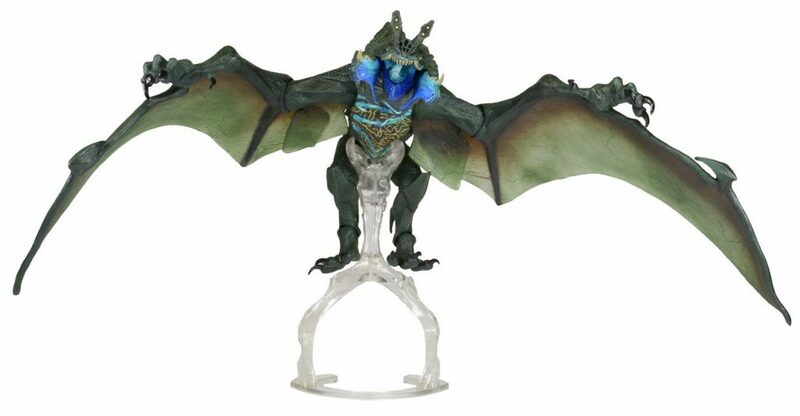 Our latest ultra-deluxe kaiju action figure from Pacific Rim is the winged form of Otachi, with a massive wingspan of nearly 2 feet. 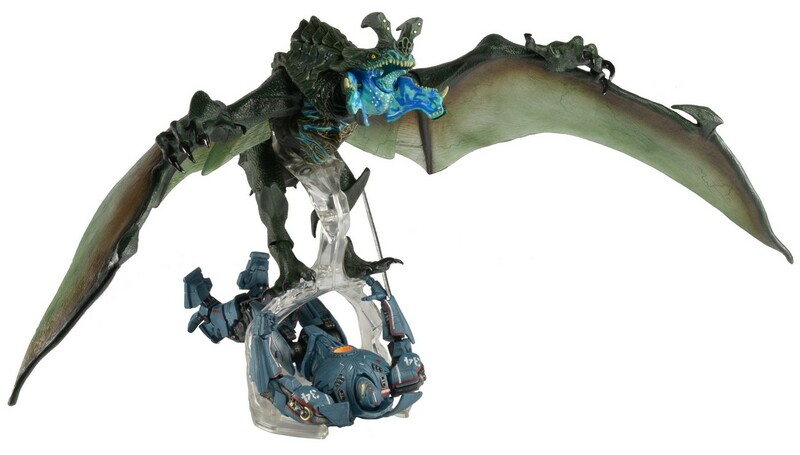 It’s extra-detailed, fully articulated and to scale with our Jaeger action figures, plus we’ve added a new feature… The included Flight Stand not only allows “in flight” poses, but can hold a Jaeger figure so Otachi can “carry” it aloft! 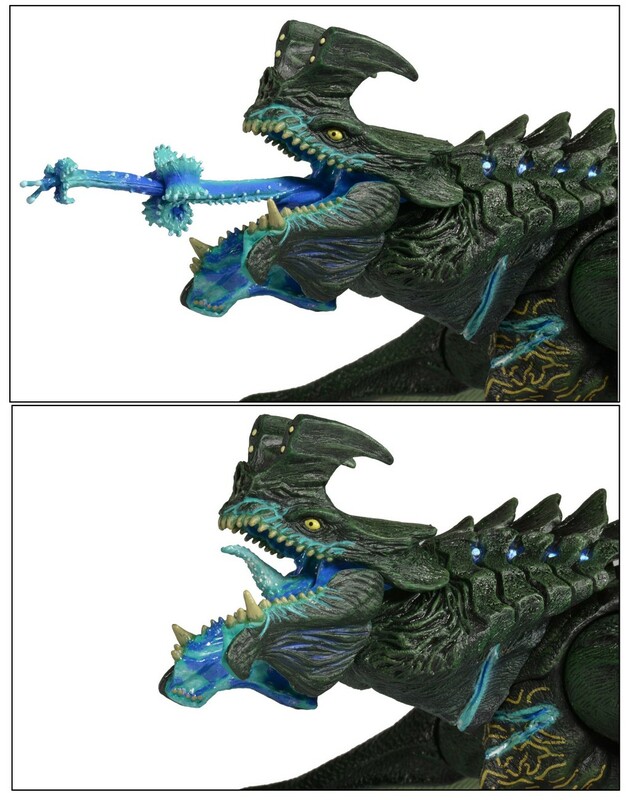 Includes interchangeable tongues. 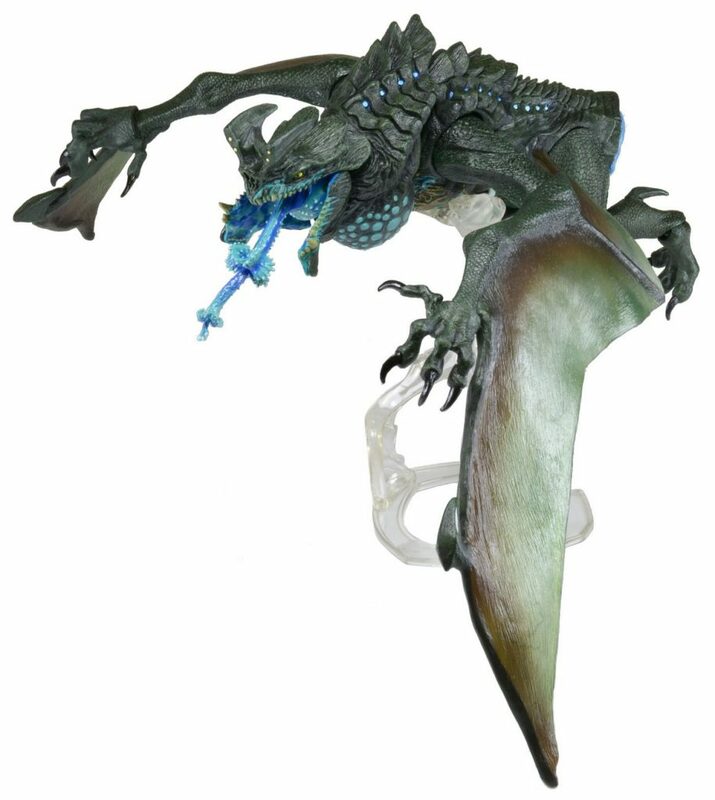 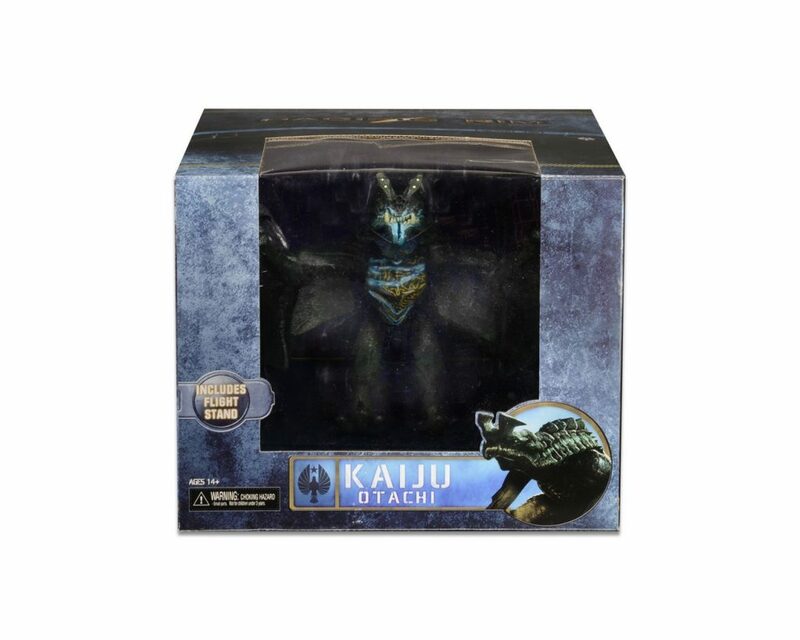 As a special treat for collectors, the damaged tail stub on this figure can be removed to attach the full tail from the previously released Land Version of Otachi (sold separately).